Posted on July 19, 2016 at 10:13 am. Art isn’t generally the first thing you think of when you think of Outside Lands. But it’s there. Image c/o abc7news.com. Outside Lands, arguably the Bay Area’s biggest summer music festival, is known for featuring some of today’s hottest alternative and indie acts. Headliners this year include LCD Soundsystem, Radiohead, Lionel Richie, Lana Del Rey, Chance the Rapper, and Foals, among countless others. Taking place in San Francisco’s Golden Gate Park August 5-7, Outside Lands actually involves a lot more than just music. Aside from featuring some of the city’s best food, beer, and wine, Outside Lands also showcases a good deal of art. Outside Lands also features tons of artists each year. Image c/o cultivora.com and Outside Lands. Music festivals that feature art aren’t exactly new or revolutionary. Most music festivals actually have “art” in their titles. Coachella–arguably the biggest and perhaps longest-running name in modern music festival lore (aside from perhaps Glastonbury)–has the full name of “The Coachella Valley Music and Arts Festival.” Log on to Instagram and look up #coachella and you’ll see–amid flower crowns and bro tanks–the large art installations that grace the festival every year. 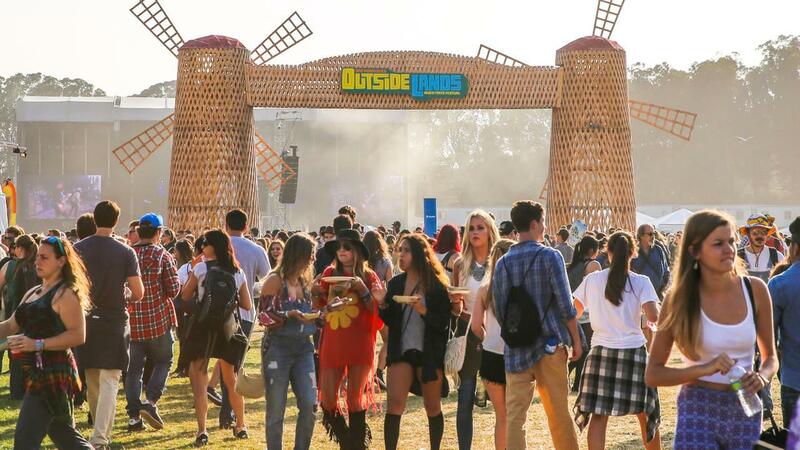 While Outside Lands, whose technical name is “Outside Lands Music and Arts Festival,” isn’t as high a profile as Coachella in Music Festival Land (or even Lollapalooza or Bonnaroo, for that matter), its decision to actively include art as well as music reflects its organizers’–and perhaps a good portion of the music industry’s–dedication to also give art a spotlight. Artist Greg Mike by his work at last year’s Outside Lands. Image c/o Instagram user @rangerdave. Artist Haste (aka The Wolf Counsel to social media) is featured at Outside Lands this year. 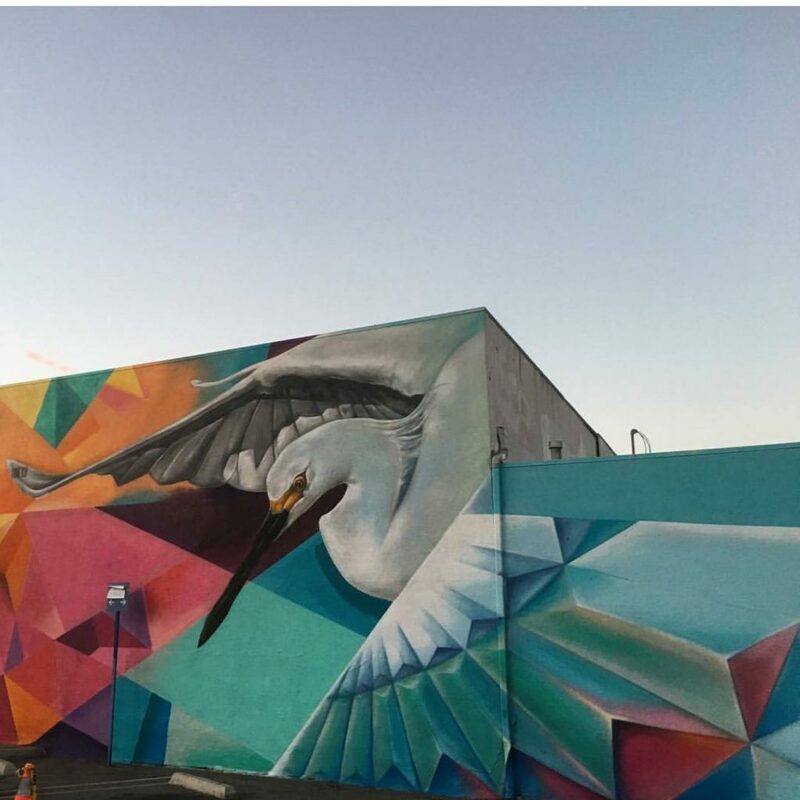 This mural, a collaboration with DJ NEFF, hints at what’s to come at this year’s festival. Image c/o Instagram user @thewolfcounsel and Instagram.com. 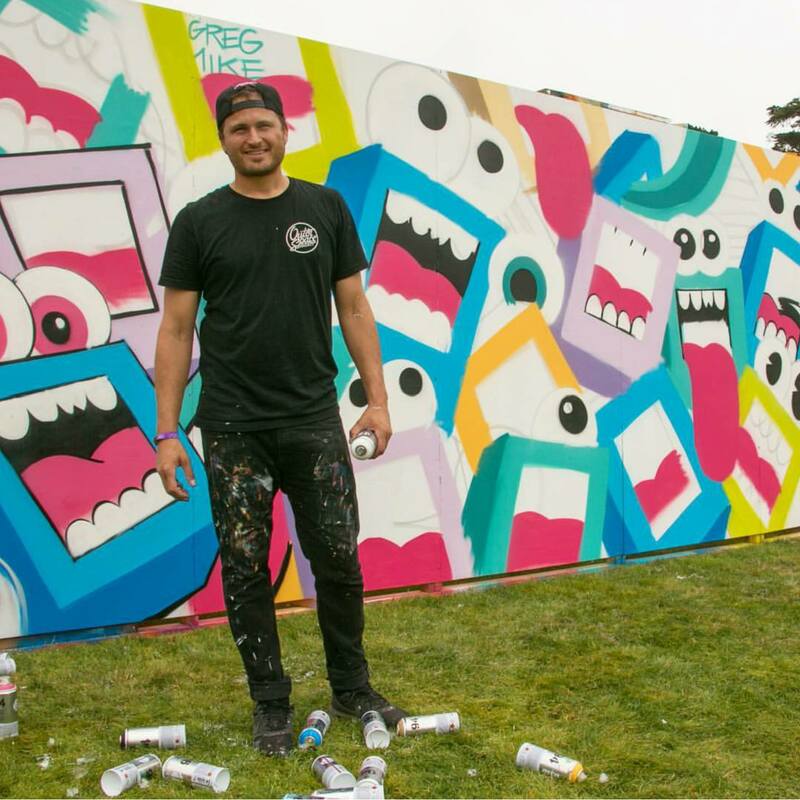 According to Outside Lands’ website, the festival partnered with artist and curator Jeben Berg and San Francisco’s Juxtapoz Magazine in order to bring a top-notch artist lineup to Golden Gate Park. Favorites from last year’s festival join artists new to the festival, with “top billing” going to author Dave Eggers, Bunnie Reiss, Haste (aka The Wolf Counsel), and Greg Mike, among countless others. In addition, several music acts have teamed up with art designers in order to create one-of-a-kind scrims (Michael Grgas + Twin Peaks should be pretty rad). If that’s not enough, there’s also live painting scheduled. While it’s crazy to expect that people would go to a music festival just to see art, Outside Lands is doing its part to make sure art gets a good amount of coverage at their festival. They’ve already got a hashtag ready–#oloutsiderart–for all of us that have to live vicariously through social media. Artist Bunnie Reiss’s When you are hungry, eat your memories. Reiss is a featured artist at Outside Lands this year. Image c/o bunniereiss.com–check her out! So if you’re headed to Outside Lands, take a break between sets to catch some live painting and look at some quality art. The rest of us will just look on enviously from our screens. What do you think about music festivals featuring art? Let us know in the comments! Which artists are featured? What does their work look like Find out more about Outside Lands’ Outsider Art–including a full list of participants–here. Wondering more about what we do here at the Art Docent Program? Find out more about us here. Dying for past blog issues? Check them out here.